Let me start with this: if we're just traveling on the basis of what Ventura has to do, it accomplishes its goal. It's a course correction away from the sound and tone of Oxnard towards something that's more soulful and loose, along the lines of Malibu, and should do exactly what it's supposed to do to win back the fans. There's less experimentation on this project - and if you ever wanted to make the comparisons between mid-70s soul and Anderson .Paak as blatant as they've ever been, it's on this album - but he's back in his comfort zones, he's got the vibes... or does he? Yeah, this might be a bit of a surprise for some of you, because while .Paak is in a better state of mind, but it's a project that the more listens I gave it, the more I felt something strange - comfortable but searching, going home but it's not the same... and I'm not sure I like it as much I wanted. And I think a significant part of it, right from the start, is Anderson .Paak himself. Don't get me wrong, he still has the soulful vocal texture and effortless charisma that makes him such a compelling presence behind the microphone, that's not really going anywhere... but it seems like a dimension of his performance just isn't here in the same way, and it's most notably the upbeat, vibrant side that's been his biggest draw. Anderson .Paak used throw himself into his performances, which gave his projects a sense of balance and playfulness both in content and delivery that's just not really here in the same way. I get a desire to play things more seriously, or try to double down on the more mature-minded vibes of the 70s that he's calling back to, but it's a whole dimension of .Paak's personality that's missing the verse and spirit and momentum that gave projects like Malibu such dynamic contrast. Even on Oxnard, there was a lighthearted flair that just does not come through on Ventura, and while this album is intentionally playing to a more low-key, romantic, wistful vibe, you lose some of that sense of fun, and given this is his shortest album to date, it wasn't like there wasn't space to include some of that. And while I'm on the subject of space, it's hard not to feel like some of those big name guest stars could have had a little more air on this project: Jazmine Sulilvan on 'Good Heels' is stuck with basically a glorified interlude, both Sonyae Elise and Brandy are more backing presence than voices of their own on this album, and while of course Andre 3000's verse is fantastic, it happens so early in the project it's hard not to feel like Ventura is frontloaded, especially with Smokey Robinson's guest appearance right after that. Again, I'm not surprised - if you want to win your audience back in record time, this is how you do it... but I wish it didn't feel so transparent. And I wish I could say the same for the lyrics. Now there are a few caveats to this: for these sorts of vibes, the writing doesn't have to aim that high, and to Anderson .Paak's credit, you can definitely tell he's playing it a little safer this time around. Many of the songs are framed as songs of reconciliation - heavy-handed in the subtext to win back the audience but he's got the charm to make it work - or are playing to set up a relaxing dance vibe; hell, 'Reachin' 2 Much' almost brought a shade of that old ego back until you realize it's a message to both Anderson .Paak and his partner that they should just relax... and yet what's interesting is that it doesn't seem all that natural even to him. 'Winners Circle' outright says that if he's not having to chase the women, he just knows he can get them and the luster is lost - and that's not the first time he starts seeming a little less sympathetic, with his frustrations curdling on 'Yada Yada' for how much he's undervalued as he's just trying to enjoy his time in the spotlight amidst calamities around him, and he has words for the underground that'd want to hold him back from expanding on 'Chosen One' that comes from one of his better rap verses, but highlights how he probably didn't want to have to push another project like this out so quickly to win back those old fans. And this is where the conversation gets murky, because on the one hand, the shift in quality absolutely came when he was on a major label and when Dre got involved... but on the other, it's not like anyone was expecting Anderson .Paak to be a bastion of lyrical artistic integrity. Look at a song like 'King James' with its gentle update to the revolutionary vibes you got from soul decades ago - compared to what D'Angelo did on Black Messiah five years ago and how much he pulled from Smokey Robinson, it doesn't hit with the same impact, but Anderson .Paak is trying to be lighter and more accessible... which makes me wish this album didn't feel as lacking in spark and humor to compliment it, but that's a different conversation. But circling back to what I said earlier, this is a project in search of its vibe, and it takes us to the final song 'What Can We Do? ', a manufactured duet with the late Nate Dogg using old unreleased vocals. Now on the one hand, I've always found this skeevy and Anderson .Paak doesn't get a pass here, especially as you can tell they got the name for the featuring credit and that would have been expensive for the major label to license... but that being said, it is telling how much Nate Dogg's presence is so capricious as he leaves a great song to bounce off into the light after telling Anderson .Paak to erase it all... leaving Anderson .Paak, just like with Kendrick Lamar and Tupac on 'Mortal Man' trying to recapture a moment of magic and answers he'll never get. Searching for the perfect vibe... but never quite finding it. 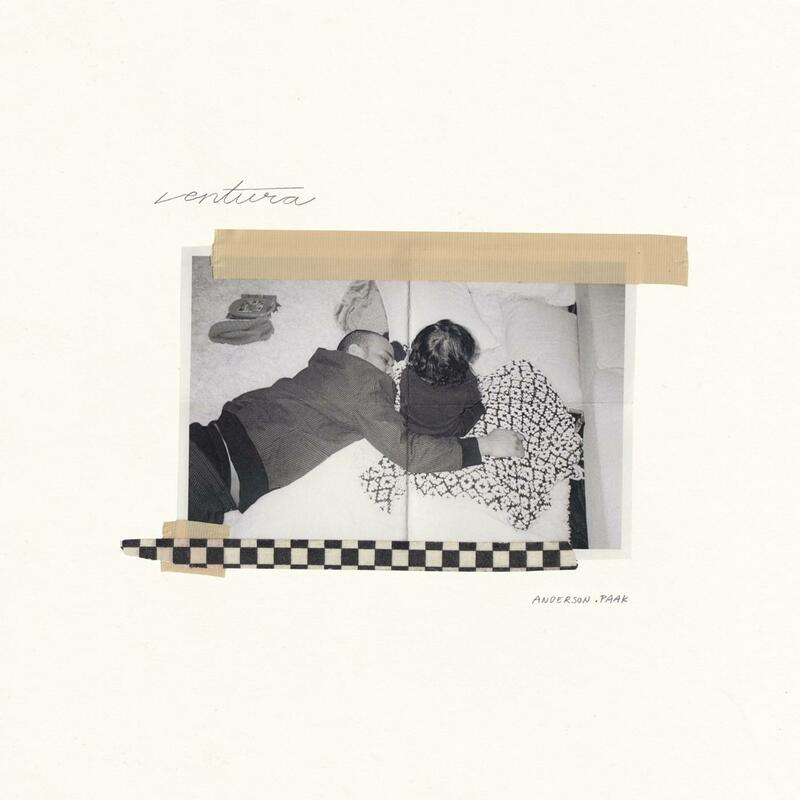 And yes, that's thematically rich and potent and it lends this project some unexpected heft and pathos I didn't expect... and if I couldn't see the obvious seams of how much it was engineered to be a course correction I don't think Anderson .Paak wanted to make this quickly, I think I'd like it more. And indeed, there's something that's not quite as organic as it should be with this album - and what's all the more frustrating is that most people won't hear the difference or they won't care that it's there, but it is what's holding me back from loving this as much as I'd like. Because for as lush and tempting as this project can be... look, it's not as dynamic nor organic, you have the feeling some of the guests are being used more for their name than how much they compliment the song, and I find myself just not having as much fun as I wanted. And as much as I don't really believe that Oxnard and Ventura are two sides of the same coin to be released this close, when it comes to an emotionally balanced project, I think you could take the best from both and have a project on the tier of Malibu with versatility and potency, if not greater. As it is... yeah, I'm giving this a solid 7/10 and a recommendation, especially if you're looking for that Malibu feel in texture if not quite substance, and I'll admit I'll enjoy it for as much as it gets play at parties this summer... I just wish I could slide into the vibe a little more.